What pancreas supplements, vitamins and minerals are legit? What Pancreas Supplements, Vitamins & Minerals Are Legit? What causes it to not work right? What is good for the pancreas? How can I strengthen my pancreas? The same way you can strengthen your muscles. If you simply eat the muscles of cows, your own biceps will be bulging! Obviously that’s a joke. Yet there are supplements for pancreas and liver which are known as natural glandular products. Their primary ingredient is the ground up organ tissue of bovine (cow), porcine (pig), and ovine (sheep). 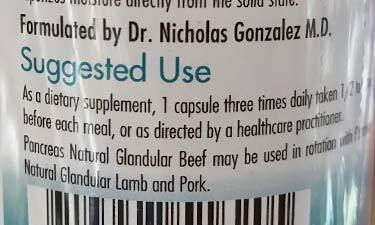 Nutricology Pancreas Natural Glandular Pork is sold in vegan capsules (ironically) and each contains 425 mg of freeze-dried pig pancreas tissue. They say you can rotate it with their glandular beef and lamb sources. The Nutricology supplements were formulated by the late Dr. Nicholas Gonzalez. He was known for holding controversial views on pancreatic cancer, Lyme disease, multiple sclerosis, and chronic fatigue syndrome. 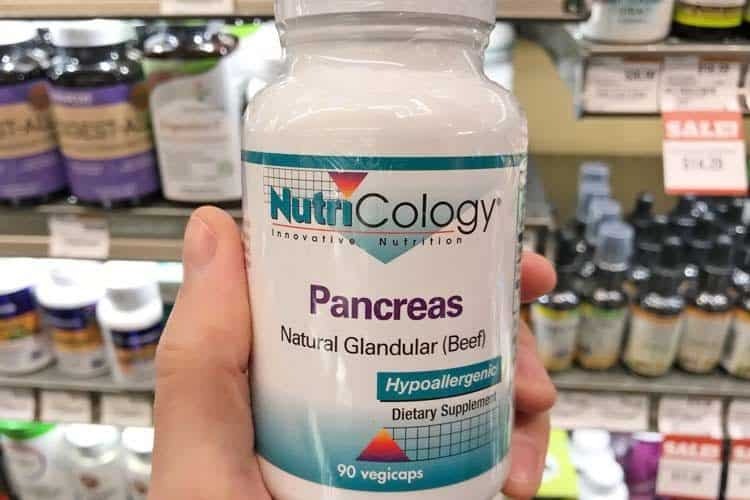 You can even buy raw pancreas supplements. The brands Solaray, Natural Sources, and Swanson Vitamins all sell them. Are they safe? Natural Sources says their raw tissue comes from animals grazed on land free of pesticides, antibiotics, growth hormones, and chemical additives. That’s good and all, but how do those characteristics protect the animals from bacterial and viral infections? Aside from pathogens like E. coli and Salmonella, for the cattle-derived sources, safety questions about mad cow disease may come to mind. 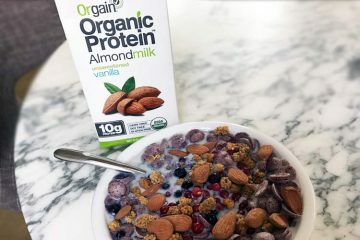 Raw or not, before you buy these or minerals and vitamins that are good for the pancreas (allegedly), you first need to understand the basics about how this organ works and what it needs to perform best. While the focus here is human health, much of the following is relevant to pet owners. Pancreas supplements for dogs are aggressively promoted by some as a home remedy or cure for pancreatitis, or to cleanse the organ, with little or no evidence cited. Since they too are mammals, much of their biology is similar. At least for this organ. The job for most of the cells in the pancreas is to produce digestive enzymes. These assist with breaking down proteins, fats, and carbs. The pancreas doesn’t digest those foods. Rather, it supplies these enzymes to the small intestine, where the digestion takes place. The enzymes flow from the cells and minor ducts into what’s called the main pancreatic duct. This continues to the duodenum of the small intestine. 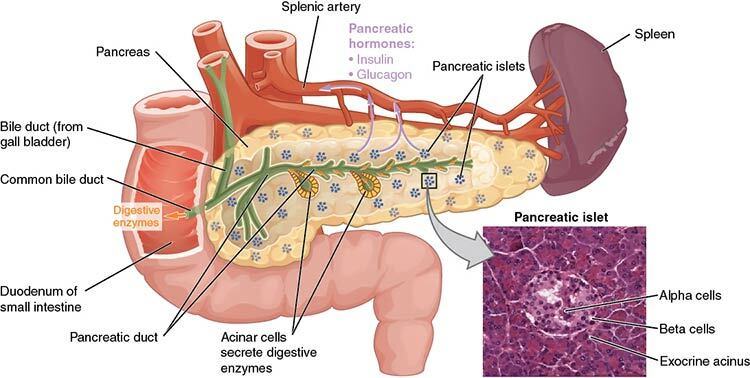 There are small clusters of insulin-producing cells (islets) throughout the pancreas. These produce hormones which are needed for regulating blood sugar; insulin and glucagon. There’s no one-size-fits-all pancreatic problem or treatment. As with other organs, there are many different types of malfunctions which can occur. Let’s review the most common causes. Type 1 diabetes is the form of the disease not caused by obesity or lifestyle. Rather, it’s an autoimmune disease, where the body incorrectly identifies the insulin-producing cells in the pancreas as being foreign and destroys them. While this can occur in adulthood, most often it’s early in life, when one is a toddler or young child. It’s irreversible, so there are no medications, supplements or vitamins that will bring back those destroyed cells. The best natural remedies for pancreas are lifestyle and dietary modifications. Avoiding alcohol, no smoking of tobacco or marijuana, maintaining a healthy weight, and reducing intake of protein and fats will put less stress on the organ. Those things should be first and foremost on your to-do list. Plus, with the exception of protein intake, all of those other changes will also benefit your liver. Aside from being good for you, they’re also free, so you have no excuse not to do them. In fact, many of those choices will actually save you money. After those, the science becomes murkier as to what helps promote the health of your pancreas. Or your dog’s for that matter. Also called pancrelipase or simply pancreatic enzymes, these are a mixture of amylase, lipase, and protease. They work by supporting the digestion of foods in people who don’t naturally make enough pancreatic enzymes. By far, these have the most proof of working, at least when in the form of a prescribed medication. Among these, Viokace is the only one without an enteric coating. 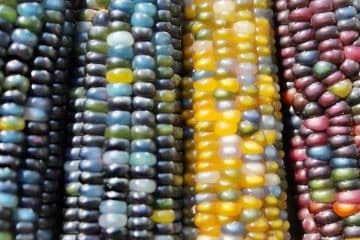 The others are coated, which helps protect them from being destroyed by the stomach’s acid. This is important since they’re needed past the stomach, in the small intestine. There are over-the-counter dietary supplements which contain amylase, lipase, and protease. They’re marketed as pancreas supplements or non-descriptively, as part of a probiotic formula. They’re not intended for the treatment of any disease and because the FDA does not regulate them, their potencies (or lack thereof) are unpredictable and may not be as advertised. Some people believe that providing like-tissue will support your own tissue of the same kind. Unfortunately this is largely a myth. Hyaluronic acid and collagen supplements are two of the most common examples. They are bought in hopes of beautifying the skin and lubricating the joints, since after all, those areas naturally contain hyaluronic acid and collagen. The problem is those compounds are made of proteins, just like pancreatic tissue. When we eat proteins, we don’t absorb them whole. Our body breaks them down to their constituent amino acids before absorption. So even though it may have served as pancreatic cells in the pig or cow, once inside your body, it’s going to become amino acids which are comparable to what you get from regular food sources. Plus, even if they were absorbed intact (and they definitely aren’t) keep in mind they are from a different species! Raw pancreas glandular supplements are believed to be a natural source of the enzymes amylase, lipase, and protease. While it’s true there may be some that survive and remain intact, the amount of enzymatic content may be trivial when compared to the mass of the dead pancreatic cells (protein) in the supplement. Even if there was a high amount of enzymes, since they’re in a natural state and not enteric coated, it’s unknown if the enzymes survive on their journey through the stomach acid. Generally, animal gland supplements are not a good or reliable source of pancreatic enzymes. Chromium is a trace mineral for humans. The main type found in our bodies is in the form of trivalent chromium (Cr3+). 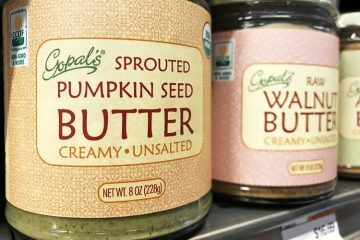 Some research suggests it may support the action of insulin. This started with animal research in the 1960’s, where it was found to correct glucose intolerance and insulin resistance. It’s believed this happens because it makes cells more sensitive to the insulin they come in contact with. Basically, it might boost the performance of insulin. Since the pancreas is responsible for producing insulin and it may not be producing enough, the theory is that anything to bolster how well its insulin works may be a healthy supplement. So far, there is only preliminary evidence that chromium supplements might be useful for type 2 diabetics. When it comes to assisting or healing the pancreas, not much data exists. A few years ago the Journal of Diabetes Research published a study reporting that chromium picolinate supplementation in a rat model of type 2 diabetes produced benefits for the pancreas. With a dose of 50 µg per kg of body weight, their pancreatic cell structures were more complete (more dark areas) and fewer inflammatory signs were seen. The improvement in the 25 µg/kg group was less pronounced, while the higher 100 µg/kg dose was even better. 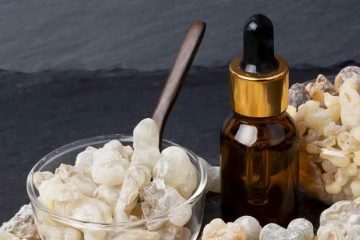 Some claim that calcium is a good supplement for the pancreas but this must be a mix-up, because science suggests the opposite – too much spells trouble. While calcium is an essential mineral in the human diet, excess amounts and high spikes from taking concentrated tablets, capsules, and chewables may be bad for your pancreas. In addition to calcium, magnesium is among the minerals for pancreatitis and supporting the organ’s health that gets mentioned. This a chicken and egg question. Did the magnesium deficiency cause or contribute to the pancreatitis? Or did the pancreatitis cause the deficiency, due to decreased absorption of nutrients from food? 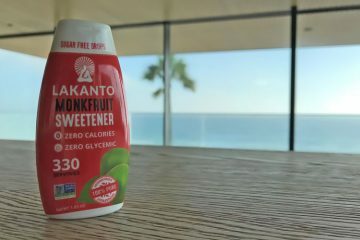 Earlier in the American Journal of Clinical Nutrition, it was reported that there was no impairment of the pancreas function in animal models of magnesium deficiency. That throws cold water on this support remedy. Vitamins B3 and B5 have been suggested as being important for the digestion of fats and carbs. It’s true that these, as well as all eight of the B vitamins, are involved in the conversion processes of food to fuel (glucose). There is no evidence that excess amounts are good or bad for the pancreas. Nor is there reason to suspect that deficiency of B vitamins is prevalent in people with pancreatic problems. Given that the B vitamins are water soluble, they’re hard to overdose on (unlike vitamin A and E). Considering this and the fact that they are essential for health in a number of ways, taking a good vitamin B complex might not be a bad idea regardless. Those getting the high dose were found to have a healthier response based on several biological parameters. This is a very broad category of supplements. In theory, any antioxidant that works in vivo (in the body) will decrease inflammation, by the reduction of oxidative stress. 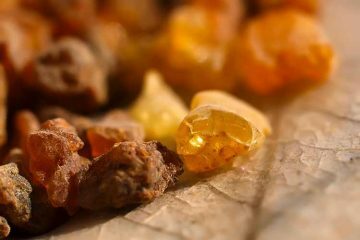 When it comes to choosing a natural anti-inflammatory for the pancreas, there’s not much data as to which work the best specifically for this organ. For general anti-inflammatory benefits, one of the most researched would be curcumin supplements. Based on research, the best supplements for pancreas health contain pancreatin, which consists of the digestive enzymes amylase, lipase, and protease. Ideally, this should be in a measured form rather than raw beef or pork glandular tissue. There is only preliminary evidence to support chromium, magnesium, B vitamins, and ascorbic acid (vitamin C). While not individually studied, a broad spectrum of antioxidants should support anti-inflammatory activity throughout the body, including the pancreas. Please note that dietary supplements should not be used to treat, cure, or prevent any disease, including that of pancreas. If you have abnormal function of this organ, you should consult your doctor before using any supplement. As a supplement to support general health, by helping with the digestion of proteins, fats, and carbs, on Amazon a good choice is the enteric coated KAL Ultra Pancreatin. There are also pancreatic enzyme supplements for dogs and cats. Check out the porcine sourced enzyme powder by Pan-tenex. Finding where to buy supplements for pancreas health in-store will be an uphill battle. They are very niche products. For vitamin and health stores that do carry them, you may only have one or two brands to choose from and who knows how long those enzymes have been on that shelf.